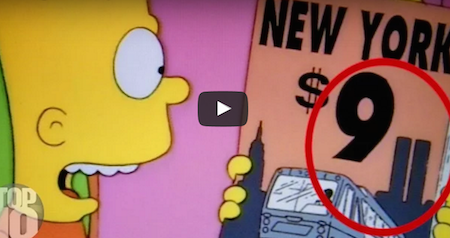 10 Things ‘The Simpsons’ Predicted – This Is Crazy!! If you are a fan of The Simpsons, you’ve probably been watching it for years and more than likely it’s set to record on your DVR. But have you ever looked back to see the unlikely events that happened that were similar to previous Simpson episodes? In The Simpsons 26 years on television, they have predicted various occurrences. Here are 10 of the best accidental predictions may have made. Check Out These 15 Real Life Human Super Powers! Flying Black Horse Filmed In Saudi Arabia – Real or Fake?